When it comes to Halloween, we don't think it's possible to go too far. In fact, the bigger the better. We love costumes that incorporate loud patterns, bright color, crazy makeup, and (yes, you guessed it) lots and lots of glitter. As for the latter, it's the one night each year—aside from maybe New Year's Eve—where we can go crazy with color and texture and shine, so why not take advantage of it with our beauty choices? While glitter makeup is pretty self-explanatory and glitter nail polish is a no-brainer, glitter hair products are a little harder to figure out. 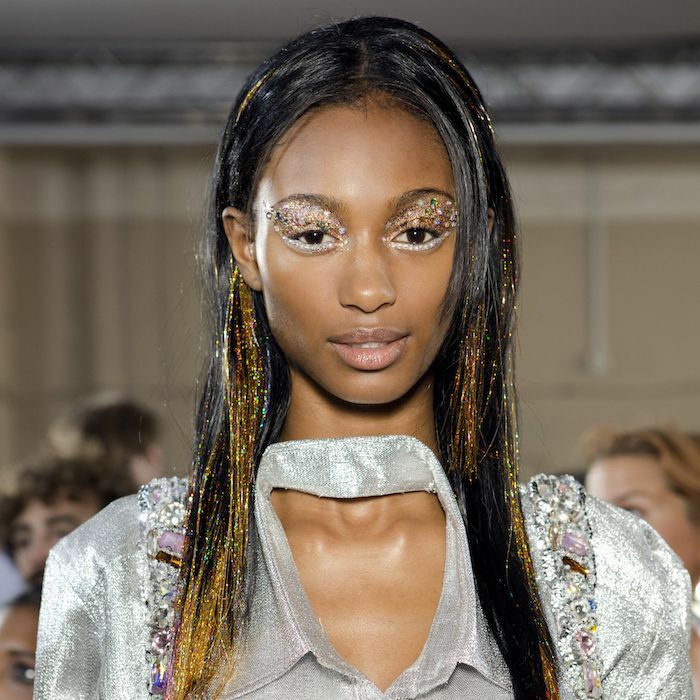 After all, glitter is notoriously messy, so if you go about it by pouring loose specks throughout your locks, you'll find yourself spotting rogue pieces well into November. Save yourself some time and hassle by turning to glitter hairsprays. They're easy to apply, relatively easy to remove, and require no downtime. Keep scrolling to see the best glitter hairsprays to fulfill all your Halloween costume needs. This IGK spray doesn't really provide hold, like a regular hairspray would, but it does provide a little bit of texture and lots of shine with finely milled glitter pieces. Spritz a little onto your strands for a subtle look or layer it for bold, eye-catching sparkle. According to Sephora customers, you'll be reaching for this product long after October 31 is over. Take it from one reviewer who says "I am obsessed with this product! I have had so many compliments when I wear it, and in white-blonde hair it just gives this little bit of a glisten. It is easy to use and doesn't overload your hair with glitter. My local coffee shop barista just asked me to 'Please wear glitter in your hair every day!' Who am I to argue?" This sparkly hair spray is the product of a collaboration between DryBar and Too Faced. It's a mix of finely milled gold and silver glitter (which means it complements any hair color) that adds a sparkly sheen to the surface of each strand. It even provides light, flexible hold to keep your preferred hairstyle in place. Similarly to the IGK pick, this product has some seriously rave reviews on Sephora's website, like this one: "This is everything. Hold. Delicious scent. Travel friendly. And FULL OF GLITTER! My only complaint is that I don't have 30 bottles, because I NEVER want to run out of this hairspray!!" 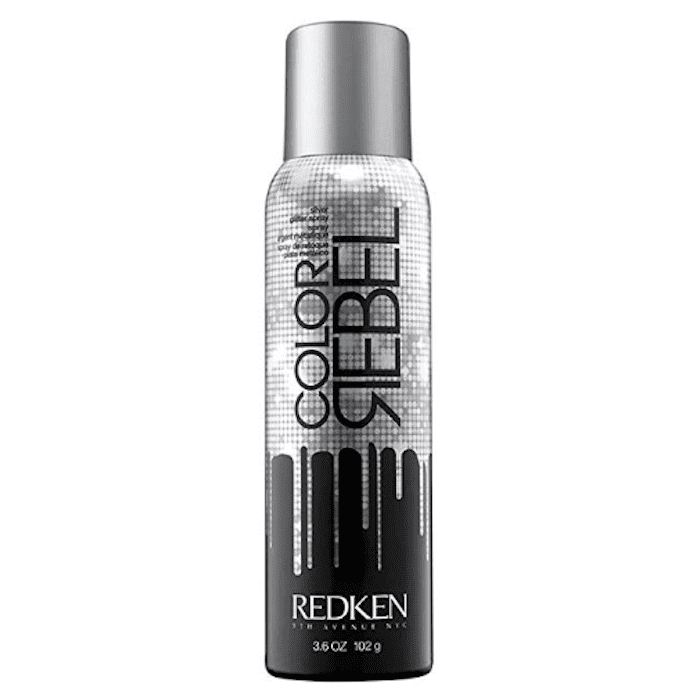 If it's not a mix of metallics you're looking for, and you instead want icy silver tones, reach for this silver glitter spray from Redken. It's perfect for anyone dressing up as an alien, mermaid, robot, or any other chrome-colored creature. "This truly is a GLITTER hair spray; when I want to go glam, I first spray my hair with Aveda spray-on gloss, then add a nice coating of Redken glitter. 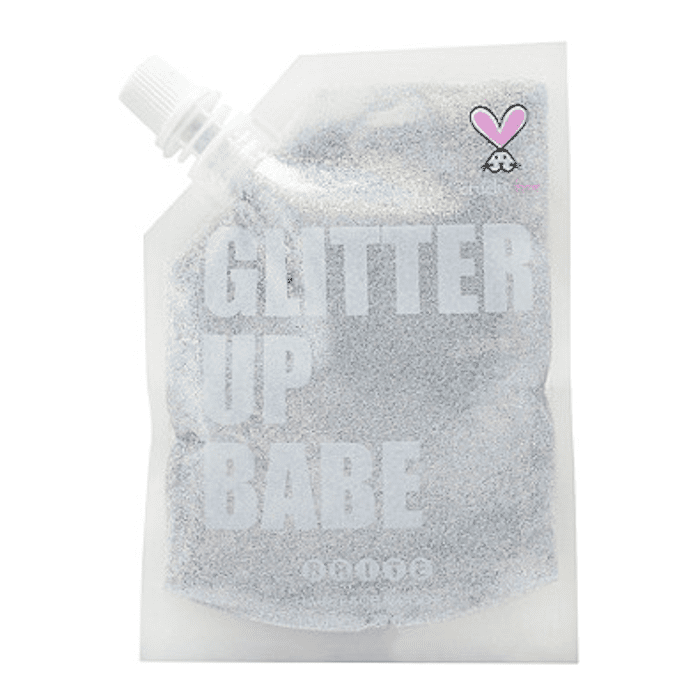 There is lots of actual glitter in this product, and I feel very dressy and ready to celebrate as soon as I spray it on," writes one Amazon customer. Speaking of mermaid costumes, if it's a siren of the sea you're going for this Halloween, may we suggest using this shimmer spray from Joico? It goes beyond metallic glitter by mixing fine shimmer particles in a base of blue-tinted spray. The very same formula is also available in myriad other colors, including dark blue, red, purple, and pink. You know what that means, right? There's a different shade for each member of your group costume. 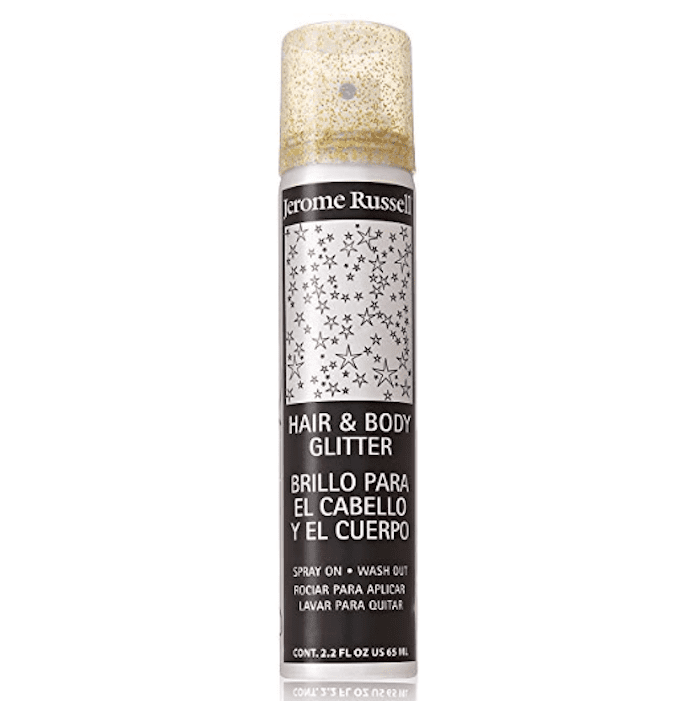 Jerome Russell's gold glitter hairspray is a steal at only $6 per bottle. That's why you're likely to have seen it in the hands and hair of people attending various outdoor music festivals and concerts. It works equally well for Halloween purposes, just be sure to shake the bottle before spritzing, as the glitter has a habit of collecting towards the bottom of the can. 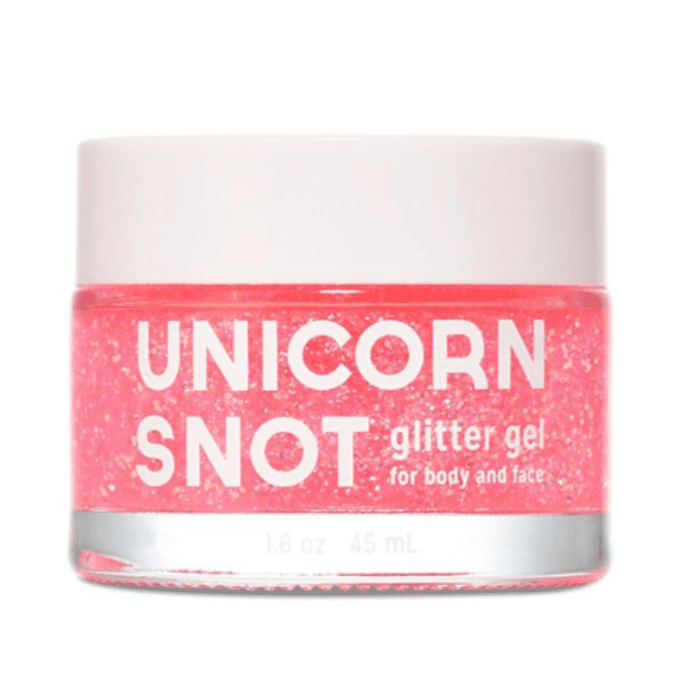 Yes, there's a beauty product actually named Unicorn Snot, and here it is in all its glory. Super reflective pieces of chunky glitter are suspended in a gel formula that you can smooth onto your skin or hair for a standout look, Halloween or otherwise. This little bottle of holographic blue glitter can be used as a decorative gel on hair or skin. It's infused with moisturizing aloe vera and peppermint essential oil for a refreshing scent. 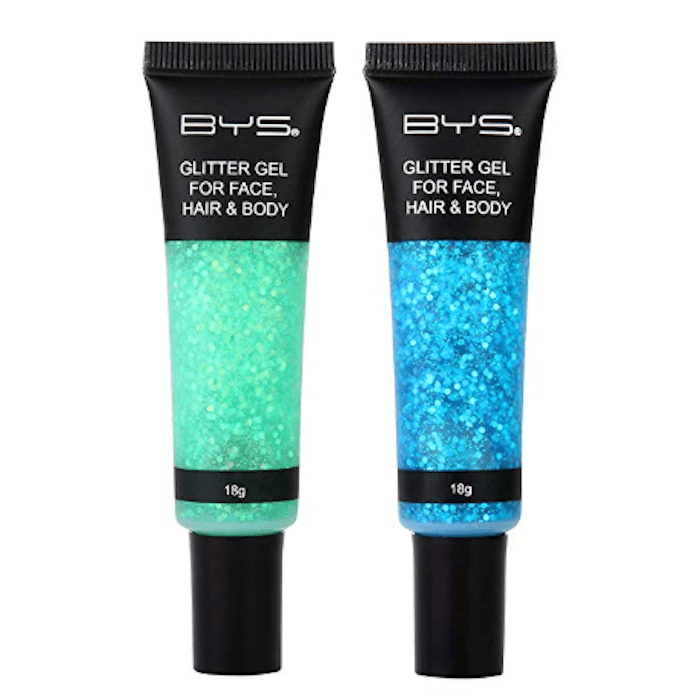 This convenient two-pack of glitter gel means you can mix your own customized color. 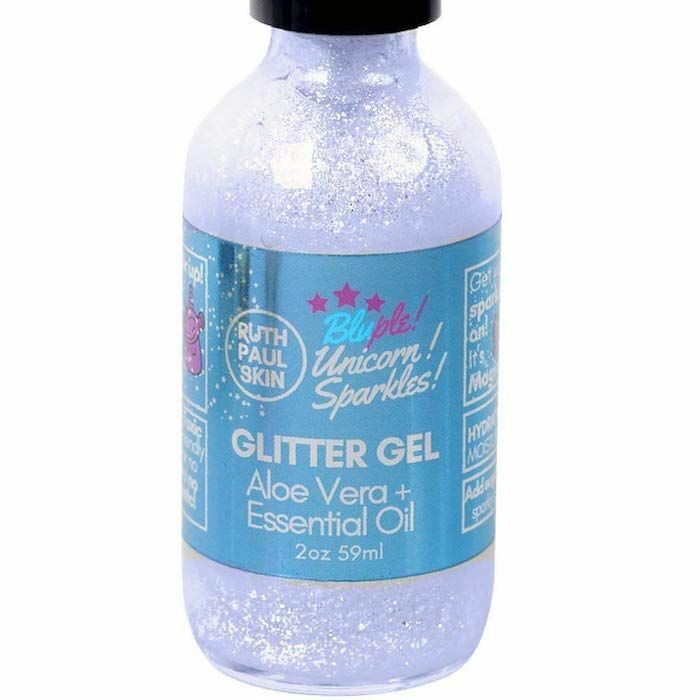 This glitter gel is suitable for hair, face, and body. We like that it comes in a portable pouch for easy touch-ups on the go. We also love that it's 100% vegan-friendly and PETA-certified (just like all of the brand's other products). If your costume requires large amounts of glitter, and in various colors at that, then look to Ulta's in-house brand. 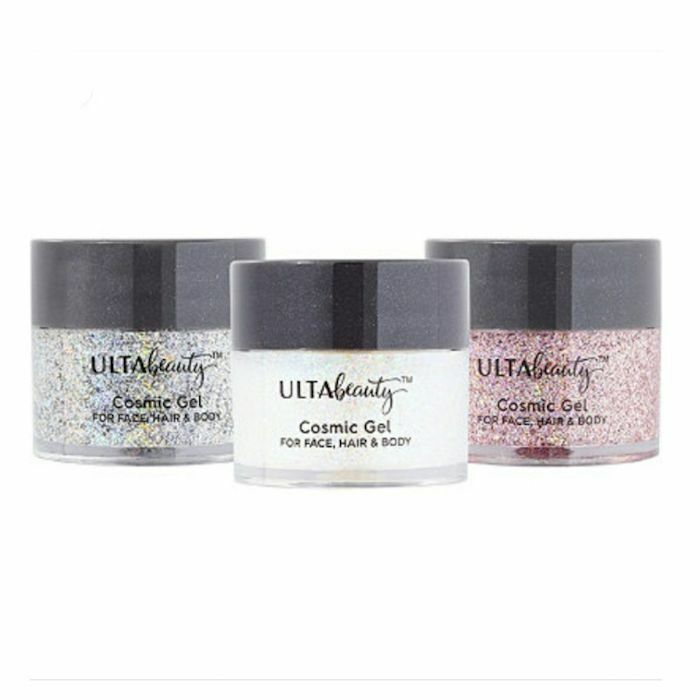 These Cosmic Gel Glitters can be used on face, body, and hair, and they come in a convenient three-pack, which includes silver, white, and pink glitter. For more glittery inspiration, check out the best way to wear glitter makeup without looking like tinsel. Because it's possible.